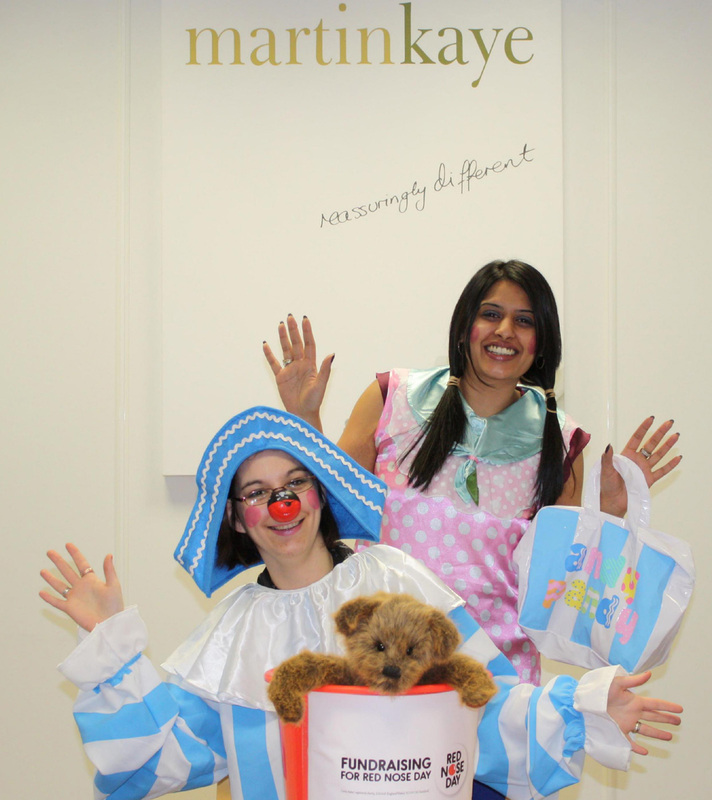 Staff from Martin-Kaye LLP Solicitors have been encouraging local companies to support Red Nose Day 2011. Members of our specialist employment law team have been visiting local businesses in fancy dress to give them the opportunity to take up a very special offer. Event organiser, Lisa Batchelor, said: "In return for a donation to Comic Relief, we offered to take a look at the current employment contracts held by the first 25 businesses to contact us, to check they were in good shape. All the money we receive will be donated directly to the appeal and we made no charge for our time. "We would usually charge between £200 and £300 to carry out this service, so we did suggest a guideline donation of at least £50 per business may be appropriate." The team is hoping to raise over £1,000 for the appeal and all the money raised by Comic Relief will be used to help transform lives across the UK and Africa. Thirty Shropshire employers have benefited from a seminar which tackled the latest changes in employment law. We ran the presentation at our offices in Telford with the support of one of the region's leading barristers. Our employment law specialist, John Mehtam, who leads our Alpha business team, said the response from delegates had been extremely positive. "They said the seminar was very informative and presented in a clear and effective way, and we hope they use the advice we gave to make a real difference to their business." The seminar included discussions on: the abolitionof the default retirement age; changes to maternity and paternity leave; the extension of flexible working rights; equal treatment for agency workers; The Equality Act 2010; and The Bribery Act 2010. 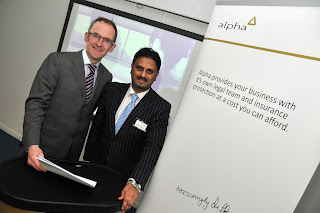 The Alpha team were joined on the day by leading barrister, Ed Beever, from St Philips Chambers in Birmingham, who specialises in commercial and employment law, and who is recognised as one of the best in his field. "As a direct result of requests from our delegates, we are now planning future seminars on a wide range of topics including performance management, bullying and harassment, maternity, paternity, and flexible working."